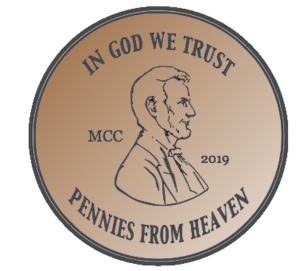 Lots of pennies for MCC! What services or items can you donate? Send a description to jhawkins9@comcast.net and let her know if it’s an item for the silent auction or the live auction. Need ideas of what to give? Ask!